Insulators, Denby 2 cup teapot, Broccoli themed casserole (first one I've seen) and a vintage handled donut cutter. Vintage plastic (hard and soft) doll house furniture (found along with a tin '50's doll house with too many join-tabs missing for reconstruction). Sweet little hen on basket salt and pepper. Plastic Tea Canister (I saw a complete set on-line). 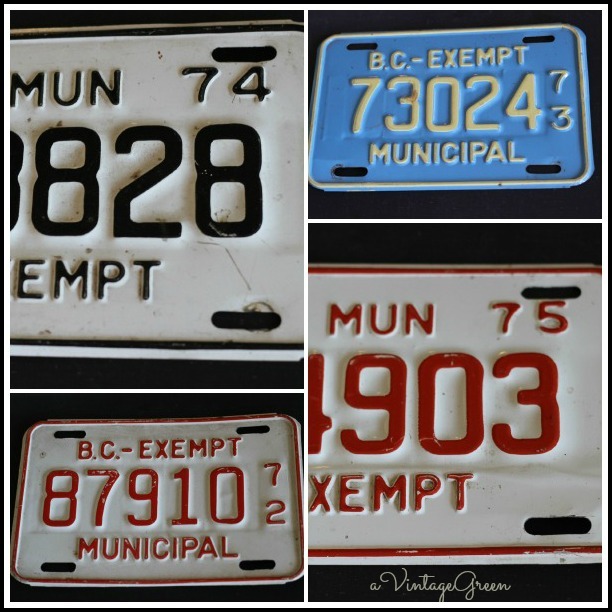 Four more small licence plates, this time Municipal. 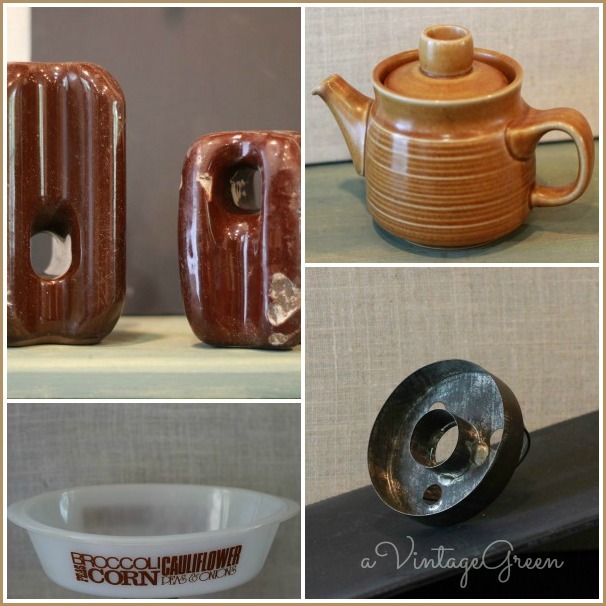 Love seeing some mid century modern pieces in Julys finds. Great finds Joy! You've trained your hubby well!! Hope you're feeling well. 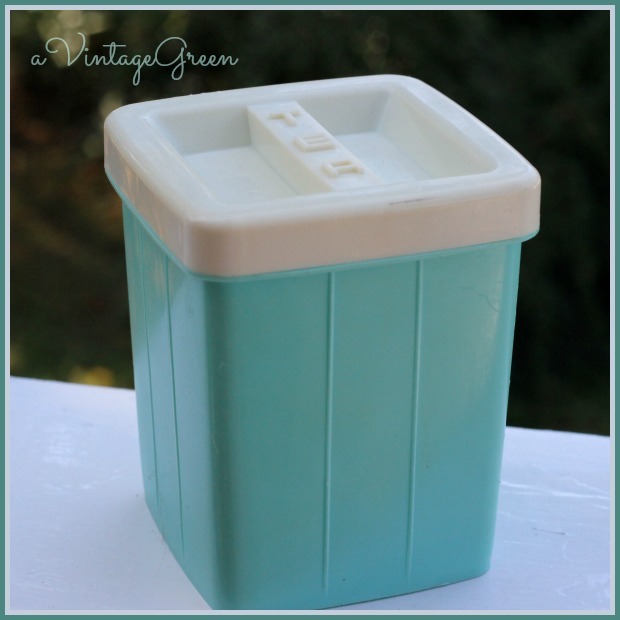 oooo The minty green canister is just lovely!!! 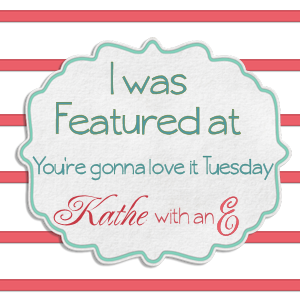 You did a super job on all your July finds. Beautiful finds. Love the candy jars, and I can't believe I've managed this long without a donut cutter in my life! I need one. I really enjoyed all these photos! Great finds and fun to see! Loving the color of the tea canister. I have a couple of those vintage handled donut cutters. One is really cool because I can remove the donut hole part and turn it into a regular biscuit cutter. That hen is so cute, hiding a little surprise. I like the pink dish too. I have to say we all are going mad over that salt and pepper set! Love the S&P it's so cute! Love all of your finds! 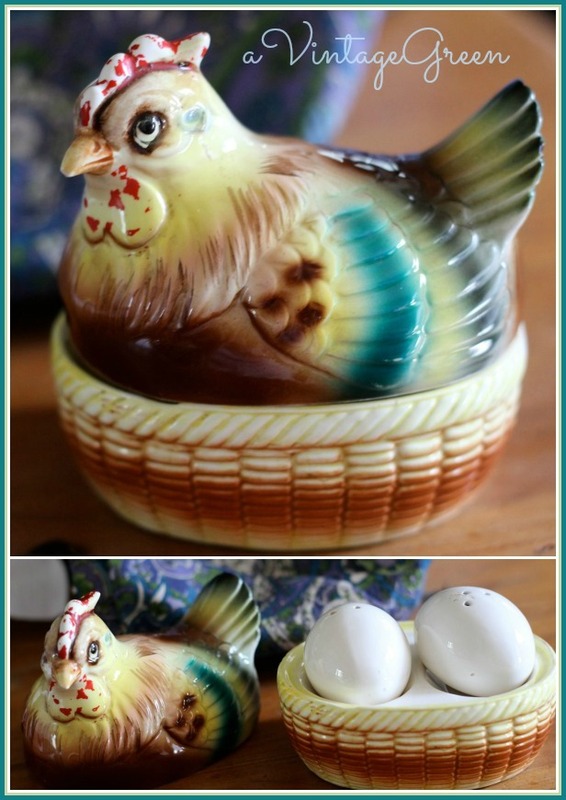 The little chicken is my favorite and those divided candy dishes! Such treasures you have found this month. My favorite is the doll house furnitues. So cute. I saw a blog not too long age where they had put the bath room fixtures in a shadow box and displayed in their bathroom. Your vegetable themed casserole is so neat, I've never seen one. I have a loaf pan with brown letters like yours, they must be from the same manufacturer. You've scored some fabulous treasures! My mother had the exact broccoli casserole! The tea container is my favorite but you really scored some good stuff. 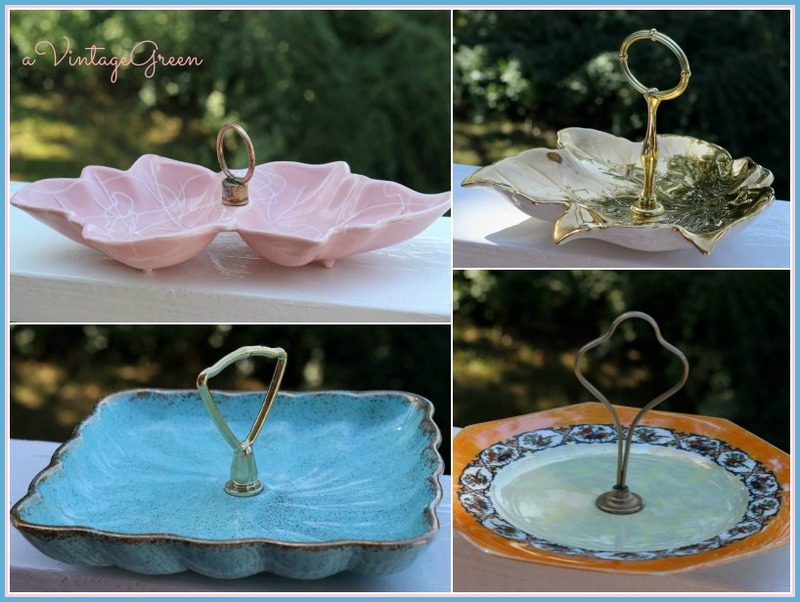 I love your nut/candy dishes! I'm such a sucker for mid-century finds! cute salt and pepper shaker set. obvs the colour of the canister is glorious. we had those doll house pieces when I was little! Great finds! I remember playing with those doll house pieces...what fun!! !